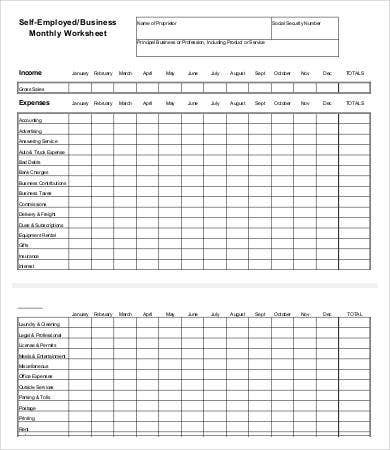 Monthly expenses should always be looked after as it needs a lot of planning to get the right equation for managing expenses. There are a lot of responsibilities that await each and everyone of us especially in terms of financial independence. You need to pay a lot of things to continue your daily living, processes, and functions. 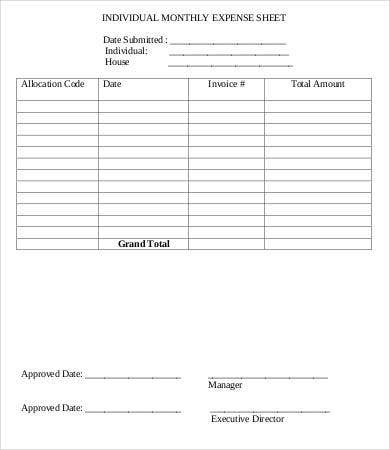 It is very important for an individual or a company to always make sure that they are keeping track of their expenses so they will not go overboard in spending which may result in the inability of paying major responsibilities. 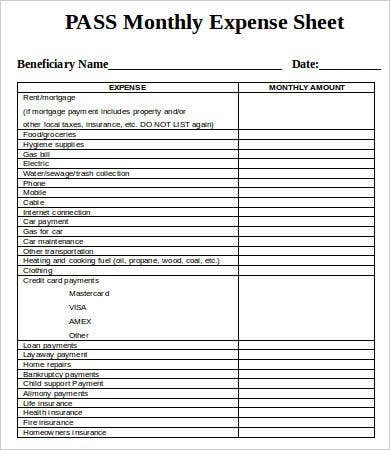 A monthly expense sheet can be of great help regarding this matter. 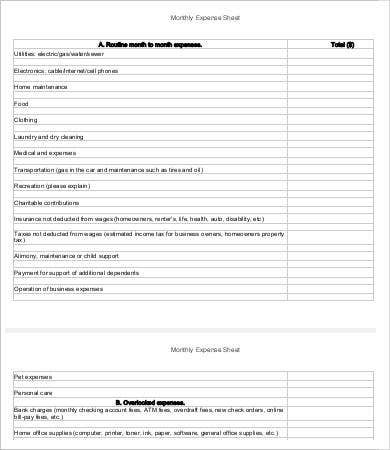 Aside from our editable monthly expense sheet templates, you may also download a general Sheet Template which you may use in many other purposes. 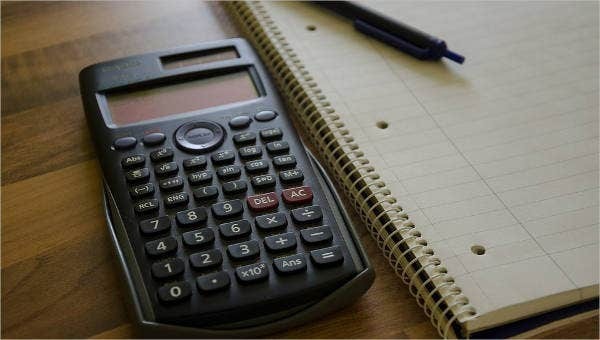 Being able to assess your needs for managing your expenses start in determining whether the expenses that you are plotting are either fixed or flexible. 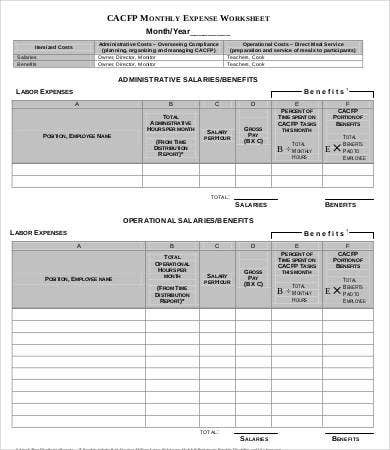 Aside from our monthly expense sheet samples, you may also download our Expense Sheet Template for a broader scope of expense management and a Balance Sheet Template for new information about this subject matter. 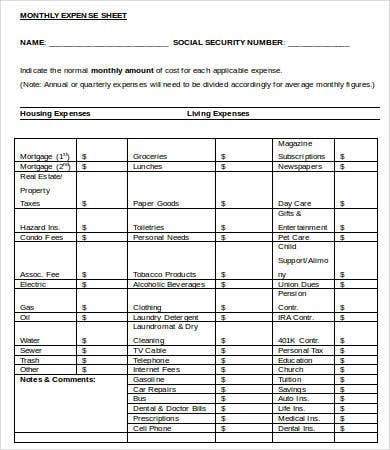 It helps you to manage your expenses based on the salary or income that you get in a specific period of time. It allows you to be ready for your payments and other financial responsibilities. It makes you aware of the things that you need to pay ahead of time. It creates a more organized way of allotting money depending on where they are most needed. 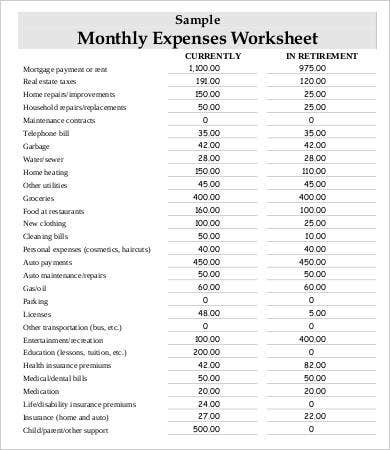 There are a lot of other advantages that a monthly expense sheet can give you. 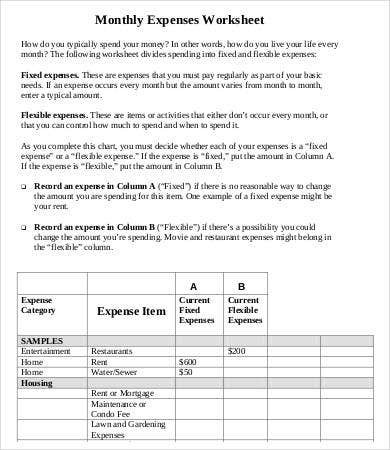 You just need to try making one first and continue updating it until you are already used in putting financial information in terms of expenses in the said document. Starting one can help you to pay your obligations properly and can also be one of the reasons why you can save more. 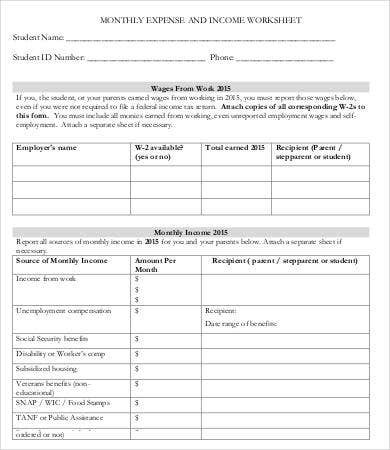 Other than our downloadable monthly expense sheet samples, you may also download our Budget Sheet Template and use it as a reference.